Just as New York was ground zero for black vocal groups, now a battalion of Italian-American aggregations from the same metropolis followed their lead. 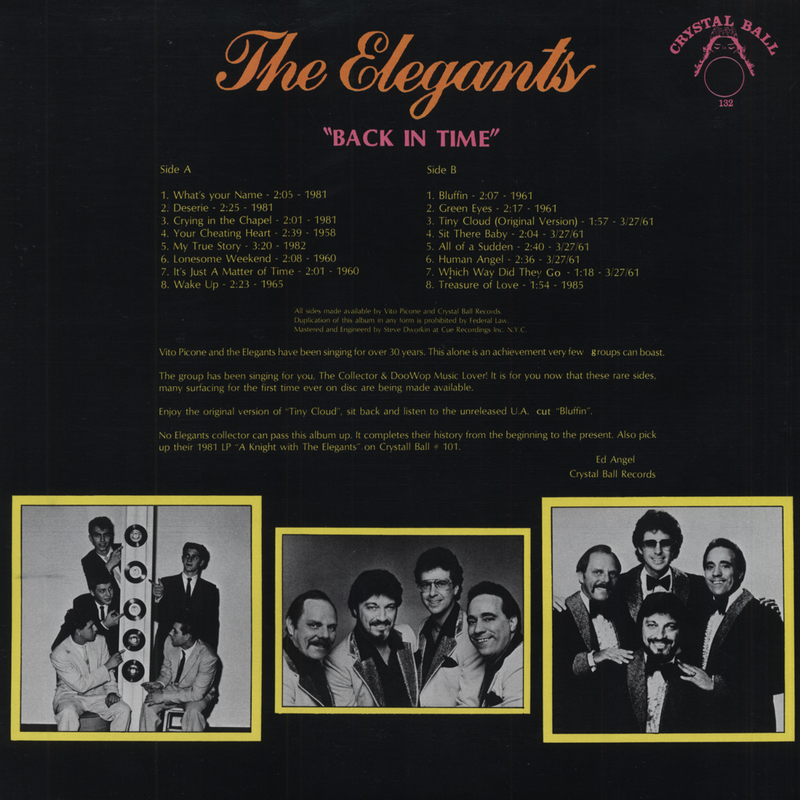 The Elegants hailed from Staten Island; lead singer Vito Picone and baritone Carman Romano had been members of Pat Cordel and The Crescents, whose 1956 kiddie sound single Darling Come Back, which Vito wrote, came out on the Club label. When that ended without an encore, Vito and Carman found first tenor Artie Venosa, second tenor Frank Tardogno, and bass Jimmy Moschella to form The Elegants in 1957, taking their name from a liquor ad ("Schenley, the whiskey of elegance"). 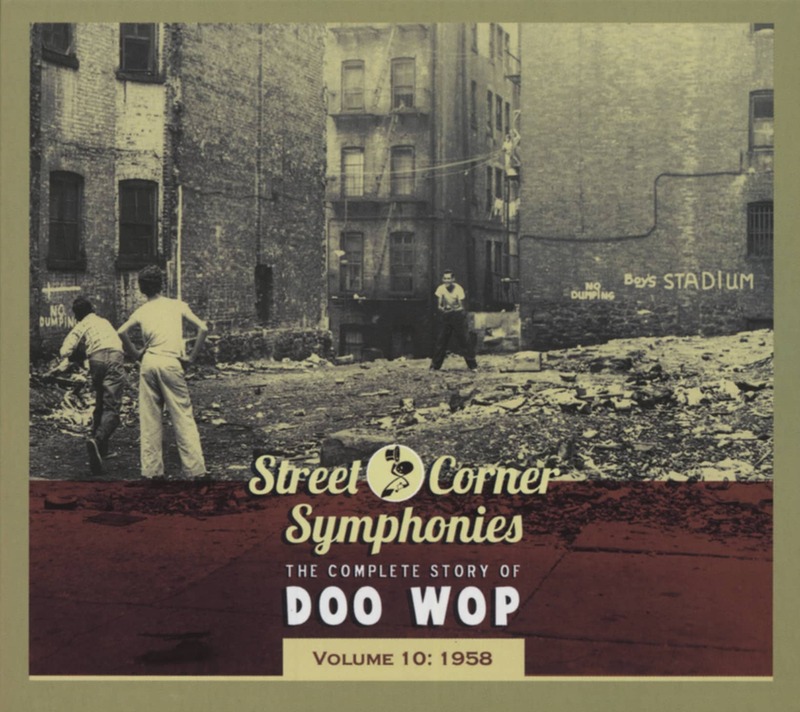 Vito and Artie brainstormed the mid-tempo Little Star as a nursery rhyme takeoff and talked Bea Kaslin of Hull and Mascot Records into recording their creation in April of 1958 along with the rocking flip Getting Dizzy (all five members penned it). Kaslin had a habit of passing promising masters along to better-established concerns for national consumption. Instead of contacting her usual source, Leonard Chess (he'd picked up The Monotones' Book Of Love and The Pastels' Been So Long from her), Bea handed the record to ABC-Paramount, which put it out in June on its Apt (for American Paramount Theaters) subsidiary. That did the trick for The Elegants' debut: that August Little Star was the number one pop platter in the U.S. and followed suit on the R&B side. 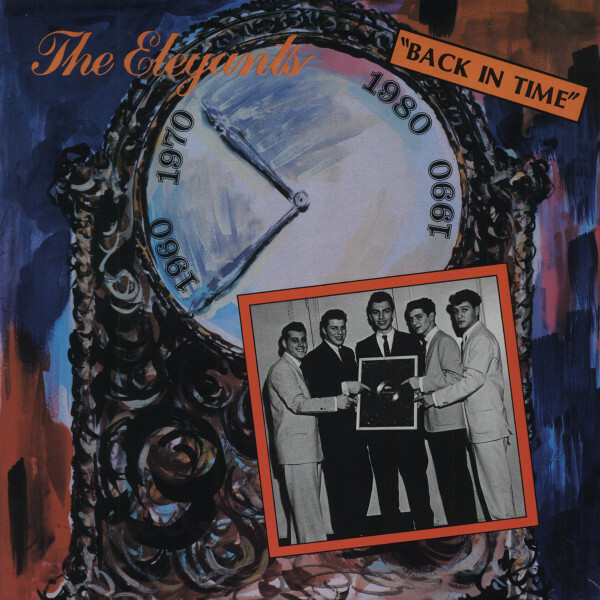 Which makes it all the more amazing that The Elegants never cracked the Hot 100 again, despite their attractive encore Please Believe Me, taken at much the same mid-tempo clip as their smash, later in the year and a Tardogno-led True Love Affair in early '59. Kaslin put out The Elegants' Little Boy Blue on her Hull label in 1960, but that didn't regenerate their momentum. Neither did a pair of 1960 United Artists releases, nor the one-off Tiny Cloud for ABC the next year. A car wreck sidelined Vito; when he came back, he and The Elegants went their separate ways. At Laurie Records, Picone and his retooled Elegants sang on The Barbarians' 1966 rock hit Moulty. Vito later segued into the personal management biz. .
Kundenbewertungen für "Back In Time (Vinyl-LP)"